Bikers and Babes (2008): D - The "Thrill of a Lifetime!" D - The "Thrill of a Lifetime!" 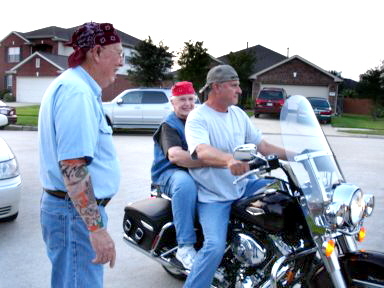 "One of the guests was an experienced biker and he took some of the ladies for a little ride through the neighborhood. Irene Valverde (who also graduated from Milby many years ago) said it was the "thrill of a lifetime."